A collection of signs and posters featuring my cartoons and photographs. 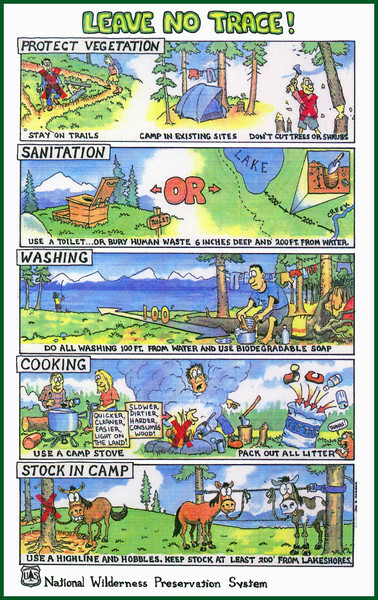 This was done many years ago on a contract with the Forest Service. This is pre-digital work, done the old fashioned way by hand, with ink and watercolor. Still in use on trailhead bulletin boards across the Pacific Northwest.